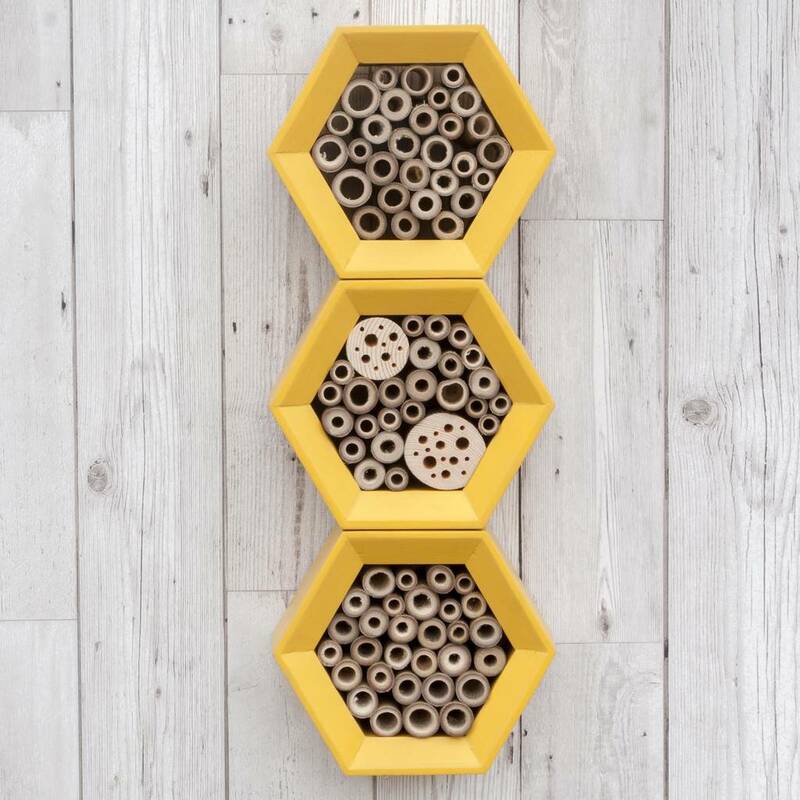 Unique multi-tier solitary bee hotels which have been individually handcrafted from sustainably-sourced timber. 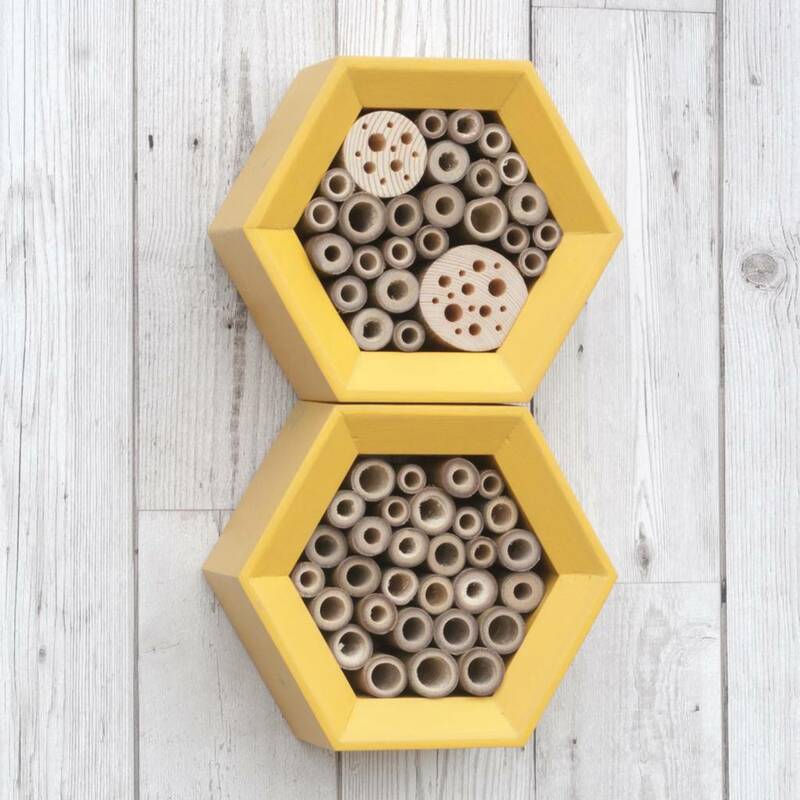 The multi-tier solitary bee hotel has been handcrafted in my workshop and is produced using sustainably-sourced FSC-certfied timber. With inch-thick roof & walls, the solid construction will provide excellent insulation for bees and any other insects stopping by. Each bee house will have either hollowed bamboo canes & drilled wooden blocks, or hollowed bamboo on its own. The bee hotel can be sited using the supplied brackets in a sheltered area. The best spot would catch the morning sun whilst keeping the rain & elements from any bees that may visit! 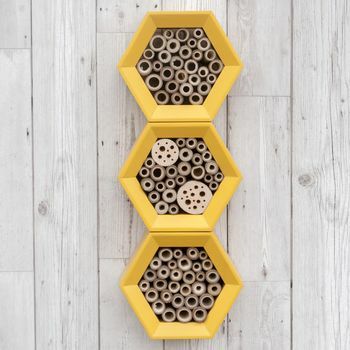 The multi-tier solitary bee house is available as either two-tier or three-tier. 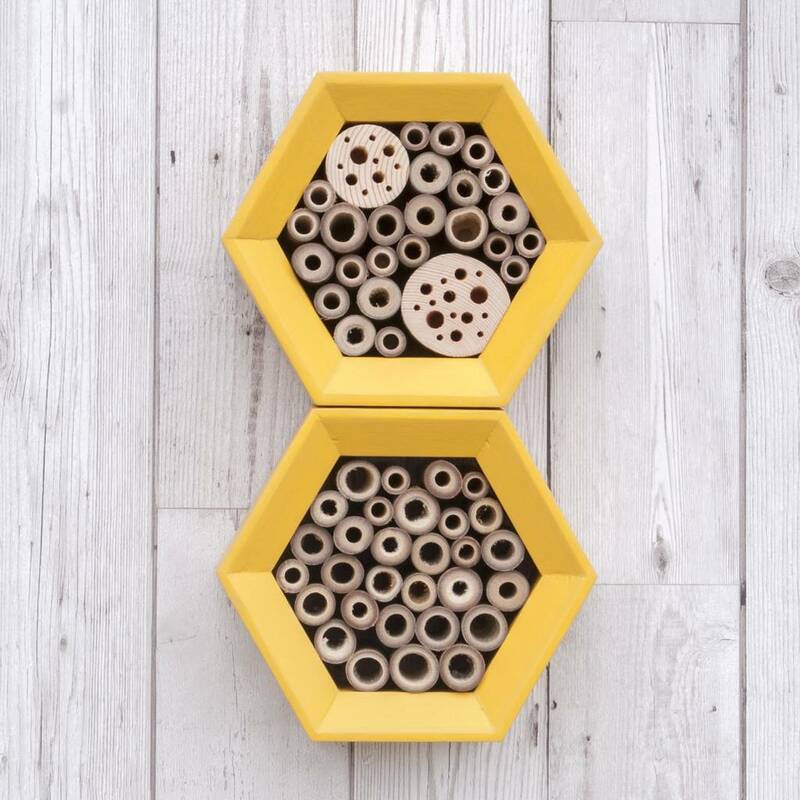 Each bee house can contain either bamboo or bamboo & drilled blocks. 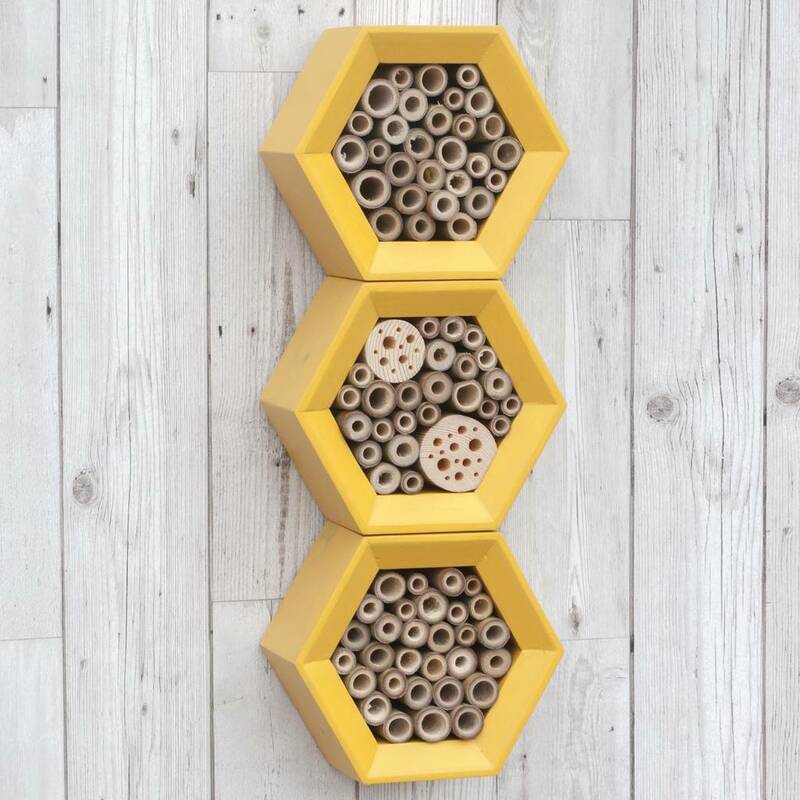 Each solitary bee hotel is handcrafted and created using sustainably-sourced FSC spruce & bamboo. Three bee house stack - H43cm x W16.5cm x D 8cm, approx 2.1kg. This product is dispatched to you by Wuddl.